The works in HyperPrometheus explore the themes of the influential novel Frankenstein: The Modern Prometheus. Published in 1818 by Mary Shelley when Shelley was 20, the novel tells the story of Victor Frankenstein, whose desire to create artificial life leads him to build, via unorthodox scientific methods, a giant humanoid creature. Hideous and intelligent, the creature is angry with, and torments, his creator, who in turn fears and mistrusts his creation. The creature asks the scientist for a companion; fearing that the artificial life form will overpower humanity, the scientist refuses. The creature retaliates; over time, scientist and experiment destroy one another. Image from Last Riot project by AES+F. The project is featured in HyperPrometheus. In Frankenstein, a human is able to create a structure which mimics human life while overcoming some of its limitations. The human is fearful of this structure, its power and its demands. Frankenstein’s creature has been a major influence on contemporary culture, including on debates around Artificial Intelligence, reproductive and genetic manipulation, and human/non human hybridity. The works in Hyper-Prometheus materialise these themes through a range of nonhuman creatures and creations. The title is a nod to Timothy Morton’s HyperObjects, a term which describes the distributed complex human-made entities which humans must grapple with on a daily basis: these objects have vitality but their scale, form and distributedness means they cannot be touched or comprehended. These are the Frankenstein’s monsters of today’s world. 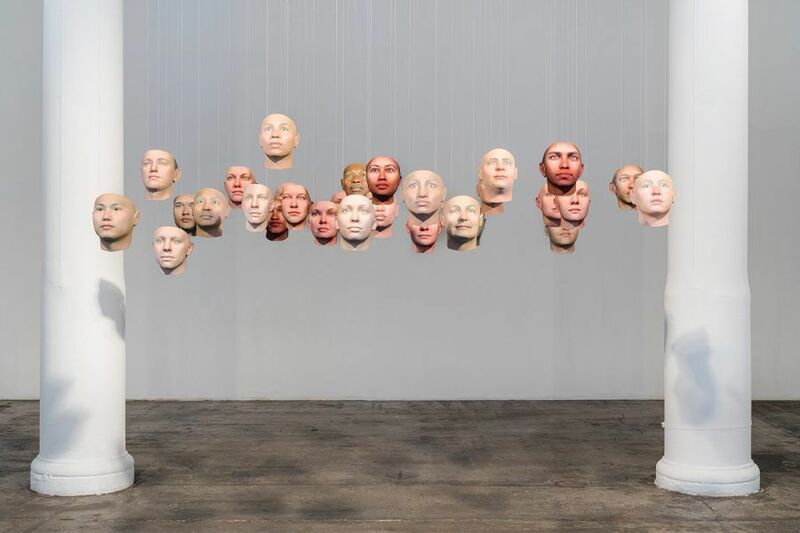 The exhibition examines the relationship between hyperobject and human: the biological and the computational come together to question what it means to be human, living, natural, functional, valid or valued. Reanimation!, Lu Yang. Image source. The artists featured in Hyper-Prometheus are AES+F, Tarsh Bates, Erich Berger and Mari Keto, Erin Coates, Thomas Feuerstein, Hayden Fowler, Alexandra Daisy Ginsberg, Heather Dewey Hagborg and Chelsea E. Manning, Sam Jinks, Olga Kisseleva, Daniel Lee, Kira O’Reilly, ORLAN, Nina Sellars, Justin Shoulder, Stelarc and Lu Yang. Top image: Heather Dewey-Hagborg and Chelsea E. Manning, 'Probably Chelsea', 2017. Photography: Paula Abreu Pita. Image courtesy: the artists, Fridman Gallery, New York and PICA, Perth.